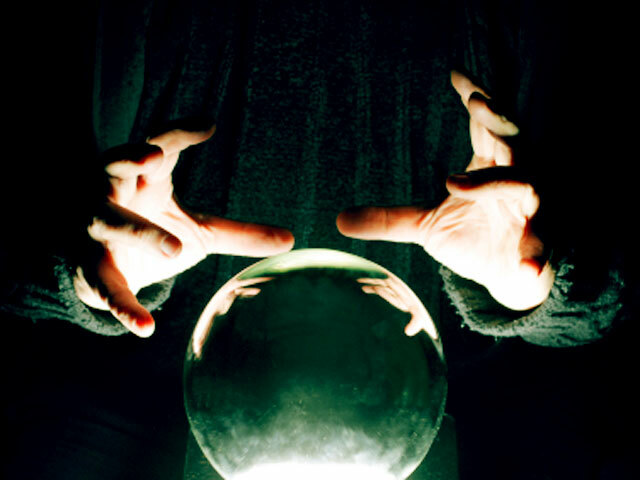 How are 2012's financial predictions panning out? (MoneyWatch) As we began 2012, there were some common themes that Wall Street and the financial media were spouting. These themes tend to become the "conventional wisdom" that investors use to implement investment strategies. With the arrival of April, it's time to do our first quarterly review. The first theme was that Europe was headed for recession due to the debt crisis and the contractionary fiscal policies that have been adopted to address the problem. The recommendation was that investors should avoid European stocks. How did that recommendation turn out? The Vanguard MSCI Europe ETF (VGK) returned 11.3 percent. While the economic forecast for a recession may have turned out right, the forecast for a declining market certainly turned out wrong. Besides providing the reminder about the wisdom of ignoring market forecasts, the fact that the European economy has been weak, yet its stock markets have been strong, provides another important reminder -- it's irrelevant to markets whether news is good or bad. The only thing that matters is whether the news is better or worse than expected. In this case, the European economy hasn't been as bad as feared. The second theme was that, at best, the U.S. economy will experience sub-par growth in the range of 2 percent to 2.5 percent, with unemployment remaining virtually unchanged. Negatives included the problems in Europe, slower expected growth in China and India, tightening budgets of states and municipalities and the need to continue the process of deleveraging. The economic forecast turned out about right, with the current consensus estimate for first-quarter growth now 2.2 percent. The unemployment rate did fall slightly from the 2011 year-end rate of 8.5 percent to February's rate of 8.3 percent. Despite the lack of strong growth, the U.S. stock market turned in a strong performance. The iShares Russell 3000 Index Fund (IWV) returned 12.7 percent for the quarter. The third theme was a repeat from last year -- given all the monetary stimulus, we would see a significant increase in the rate of inflation, led by a rise in commodity prices, especially gold. The more stable core rate of inflation (which excludes volatile food and energy prices and is a better predictor of future inflation than the overall CPI) increased just 0.1 percent in February and 0.2 percent in January. The overall index increased 0.4 percent in February and just 0.2 percent in January, so there's no sign yet of inflation taking off. However, gold did increase in price, ending 2011 at $1,566 an ounce and closing the quarter at $1,663, an increase of 6.2 percent. Bottom line: wrong on the overall inflation rate, but right on gold. The iShares Barclays 1-3 Year Treasury Bond (SHY) lost 0.1 percent. The iShares Barclays 7-10 Year Treasury (IEF) lost 1.8 percent. The iShares Barclays 20+ Year Treasury Bond (TLT) lost 7.0 percent. This recommendation turned out to be accurate, as the best place to be was on the very short end of the yield curve. Finally, the average forecast for the S&P 500 from 13 investment strategists at Wall Street firms was for about a 6 percent increase to 1,334 from the year-end level of 1,258. Including the current dividend yield of about 2 percent, the market's total return would be about 8 percent. The forecasts ranged from as low as 1,167 (Morgan Stanley), to as high as 1,500 (Deutsche Bank). Seven of the forecasts clustered between 1,325 and 1,375. If you exclude Goldman Sach's forecast of 1,250 (virtually unchanged), there were two forecasts that predicted declines (Morgan Stanley at 1,167 and HSBC at 1,190). The S&P 500 closed the first quarter at 1,408. One theme that certainly seems to be recurring (and this year is no different) is that it will be a stockpicker's year. While we won't know how well active managers do until the end of the year, it's a pretty good bet that they'll lag the indexes as a group. Last year, more than half of active managers in each of the nine U.S. style categories lagged comparable benchmarks for the past five-year period. In summary, only one of the major themes can be said to have been good advice to follow: the recommendation to stay short with bond investments. The forecast of gold rising also turned out accurate, though the forecast for inflation turned out wrong. European stocks did quite well, despite the weak economy. U.S. stocks did much better than expected, even though economic growth was in line with expectations. China underperformed, despite growing much faster than the rest of the world. That's not a very good record for "sure things."